I love felt. I really love it. I especially love wool felt. Acrylic, not so much. 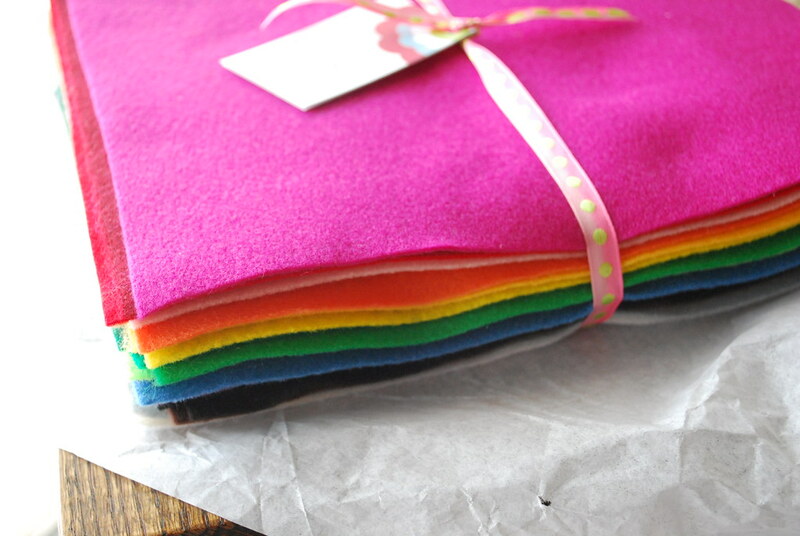 However...I'm very excited to use this new polyester felt that I just ordered from Felt-O-Rama. It is recycled from post-consumer plastic bottles. I love that! And maybe it's just because I love that it is eco-felt, and that clouds my perception, but I really think that the quality feels nicer than traditional acrylic felt. Nice and soft this is. Also, I ordered my felt late Friday night and it arrived on Monday. Super fast. And, and...the price is reasonable. 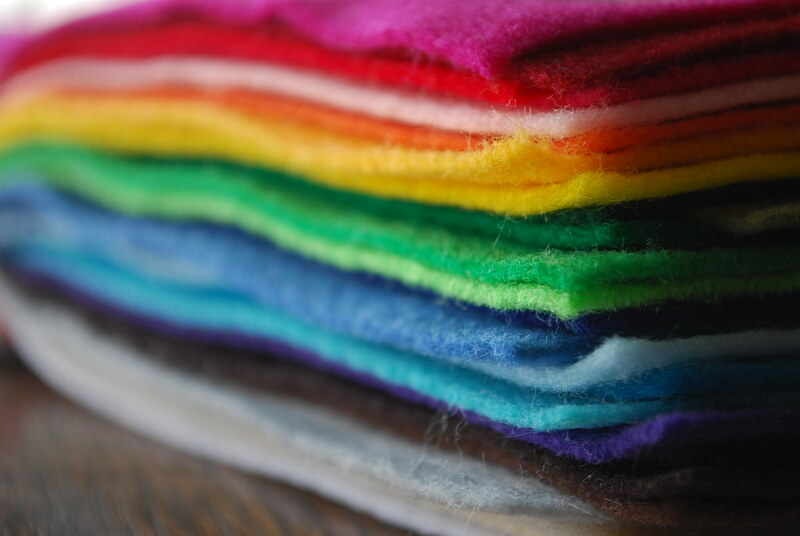 Felt-O-Rama has other great felt products, and I can tell that I'll be ordering more. Soon. Check them out! that looks so yummy! i definitely need to get some more. Fantastic. I'll be bookmarking it for later. I have to admit to never buying the wool felt because, holy smokes, that stuff ain't cheap! Do people actually pay over $3 bucks each for a piece of felt 8 by 8 inches? I'd never let my kids cut into it if that's what was in my stash. haha...no kidding! I hoard my wool felt and save every little scrap! When you can find it by the yard, it's a much better deal. Still expensive, but not terrible. And the wool blend felt is nearly as lovely, so $8/yard I can handle. Wow -- that felt is gorgeous! I bookmarked their site -- I'll have to order some sometime!